TOKYO (Reuters) - Carlos Ghosn improperly received $9 million (7 million pounds) in compensation from a joint venture (JV) between Nissan Motor and Mitsubishi Motors, the Japanese automakers said on Friday, raising the possibility of their ousted chairman facing a fresh charge of embezzlement. In the latest twist to the saga of the once-feted official's fall from grace, the automakers have found that Ghosn was paid by their Netherlands-based JV without the knowledge of the unit's two other directors - Nissan Motor <7201.T> CEO Hiroto Saikawa and Mitsubishi Motor (7211.T) CEO Osamu Masuko. "That such misconduct also occurred at our affiliate is beyond shocking ... it's sad," Masuko told reporters, referring to the payments made to Ghosn from Nissan-Mitsubishi B.V., registered in the Netherlands in 2017. 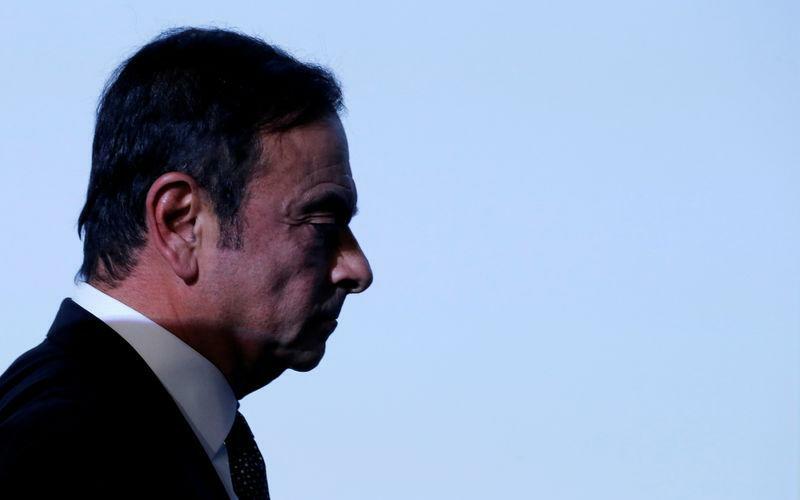 The arrest of Ghosn, who spearheaded Nissan's turnaround two decades ago, and the list of charges against him have jolted the auto industry, while muddying the outlook for Nissan's three-way alliance with Mitsubishi and France's Renault SA (RENA.PA). Ghosn's pay has been a hotly debated issue at Renault's shareholder meetings where he lost a vote on pay a few years ago. He has also been in news previously for hidden bonus plans. Reuters reported in 2017 on a plan by Renault-Nissan bankers to pay millions in undisclosed bonuses via a specially created Dutch service company to Ghosn and other managers. The plan was scrapped after the Reuters report. Renault owns around 43 percent of Nissan, the biggest firm in the alliance by sales and which in turn has a non-voting 15 percent stake in Renault. Mitsubishi became the smallest member when Nissan in 2016 took a 34 percent stake in it.